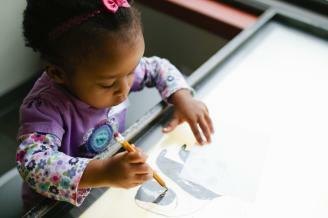 We offer "pay as you will" so that all families can come to the Children's Museum of Tacoma. We believe play is the elemental component of children's learning. Our museum engages young children and their adult caregivers in self-directed play through innovative design that celebrates imagination and encourages creativity. The museum's playscapes and programs support children's growth through play by addressing age-appropriate development, especially in the areas of creativity, social and emotional skills, cognitive and critical thinking skills, gross and fine motor development, and early literacy learning. Core early childhood experiences form the platform for play in the Museum's five main areas: Woods, Water, Voyager, Invention, and Becka's Studio. *Third Thursday of each month 10 a.m. - 7 p.m.
DescriptionChildren's Museum does not have a banquet space, but we can accommodate 100 people seated, or up to 300 for receptions.